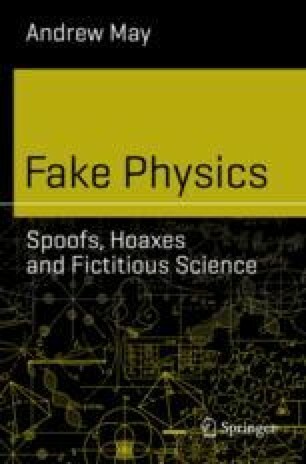 This chapter starts by looking at a number of historic spoofs in a similar vein to Asimov’s thiotimoline, but which were aimed—initially at least—at a more specialized audience. Some of them appeared as humorous items in otherwise serious journals and technical magazines (in at least one instance without the editor realizing the piece was a spoof). Others come from academic-style journals which are spoofs in themselves—the longest running example being the Journal of Irreproducible Results. A spinoff from this, Annals of Improbable Research, has become even better known through the annual Ig Nobel prizes—awarded for genuine research “that makes people laugh and then think”.